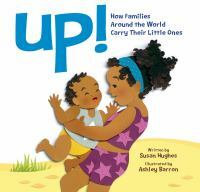 Each year since 2000 a group of local librarians and child development experts has selected the ten Best Books for Babies published in the previous year. 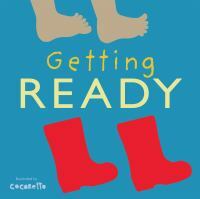 The Best Books for Babies project highlights the importance of reading beginning at birth. 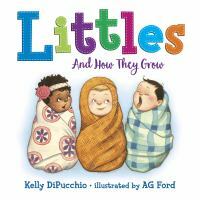 Books selected will delight and engage babies age birth through 18 months and the adults who care for them. Best Books for Babies is a cooperative project of CLP, The Fred Rogers Company, and Trying Together (formerly the Pittsburgh Association for the Education of Young Children). A mix of photos and illustrations in bright colors on big, sturdy pages offers plenty of opportunities to point and say the names of body parts, clothes, toys, colors, food, pets, and more. 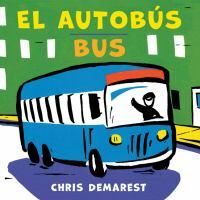 Simple phrases in Spanish and English accompany energetic, stylized illustrations in primary colors outlined in black to showcase the sights and activities of a busy urban environment. 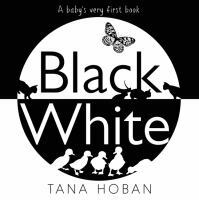 Animals, toys, and everyday objects appear in crisp black or white silhouette in this wordless board book perfect for sharing with infants. 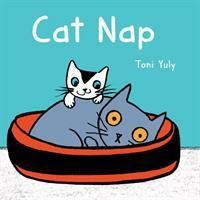 Interesting perspectives and sly humor enhance the story of a playful kitten’s interactions with a tired but tolerant older cat. 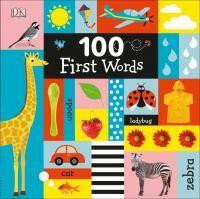 Varying textures and bright colors make familiar objects in this board book fun to interact with and perfect as a springboard for conversation and object identification. Bouncy rhyming text and plentiful illustrations catalog the ways that babies are loved, fed, and cared for by all kinds of parents and families. 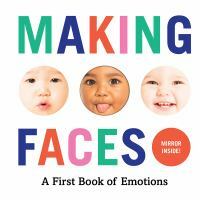 Clear, engaging photographs of a group of expressive babies are paired with text that encourages listeners to identify individuals and mimic the emotions displayed; a mirror on the last page allows babies to see themselves. 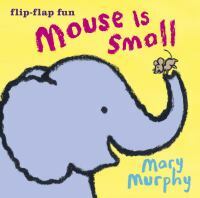 Shaped pages flip easily, simply drawn animals are cheerful and charming, and changing background colors add interest, making this brief board book an engaging first narrative for little listeners. 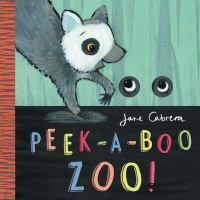 The familiar game takes on an exotic appeal as a ring-tailed lemur plays peekaboo with a variety of other animals; clever die-cuts and interesting patterns enhance the simply composed paintings. Cut paper collage illustrations give a three-dimensional feel to pictures that show babies in a variety of countries being toted by parents, siblings, and other relatives.